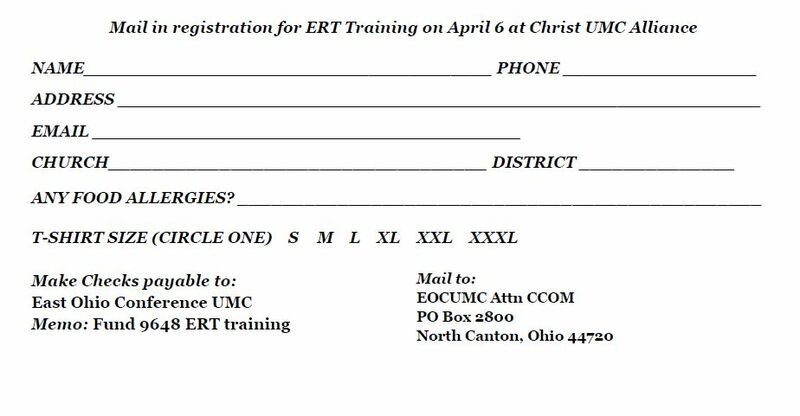 Early Response Training: (class size limited = 48) Cost includes training, team manual, and background check. 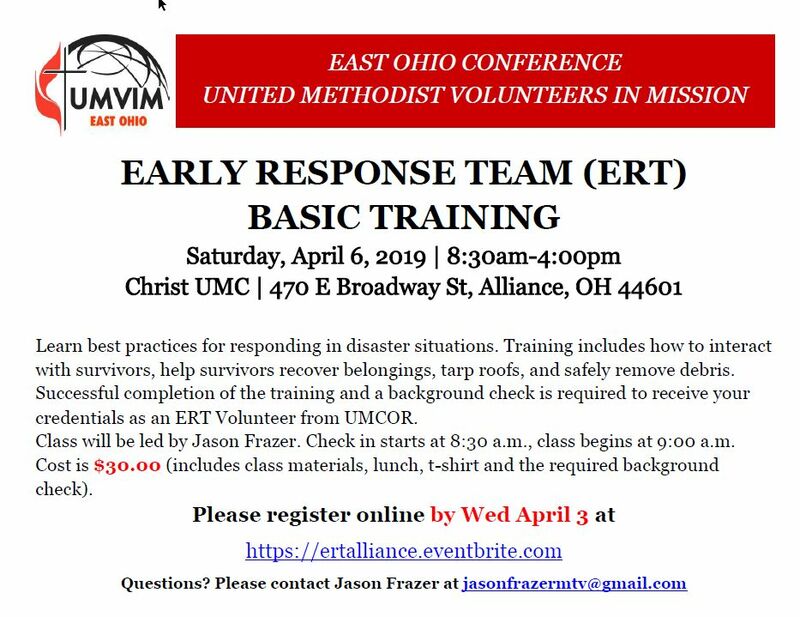 The training highlights disaster preparation, how to interact with survivors, listening skills, building work team, and more. Background checks are a requirement for credentialing, once registered you will receive instructions on how to complete this process.